"You were one of the greatest influences in life for my best friend, husband, love. You will be missed, but you will hear us speak of you..."
"I love you Ish,I will miss you." "He was very nice. I love you Grandpa Ishie. I will miss you." "Eternally loved and honored by all"
"Eternally loved and honered by all"
"Sorry to hear of his passing prayers for the family"
"so sorry for your loss. loved his eternal smile "
Charles “Sonnie” Edward Moran, 85, passed away Thursday, September 6, 2018 in Arlington. Graveside Service: 1:15 p.m. Tuesday, September 11, 2018 in Dallas/Fort Worth National Cemetery, 2000 Mountain Creek Parkway, Dallas. Visitation: The family will receive friends from 11:00 a.m.- 12:30 p.m. prior to the service at Wade Family Funeral Home, 4140 W. Pioneer Parkway, Arlington. Sonnie was born June 3, 1933 in Paris, TX to Charlie Alvin Moran and Annie Carter Moran. Sonnie proudly served his country in the United States Army as a paratrooper in the 11th Airborne. He later worked as a switchman with the Rock Island Railroad as well as working over 32 years as a stockman for General Motors. In addition to his work, he enjoyed being outdoors and working on his farm in Greenville. He was preceded in death by his parents; and his brother, Ray Moran. Survivors: Wife of 65 years, Wana Moran; daughters, Brenda Faulkner and husband, Charles, Kathy Coppinger and husband, Chris and Holly Sergeant and husband, David; sister, Juanita Williams; grandchildren, Kyle McKeon and wife, Vanessa, Dalton Faulkner, Trevyn Sergeant and Chainy Sergeant; and great-grandchildren, Wyatt and Justus McKeon. 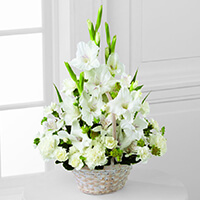 To send flowers to the family of Charles "Sonnie" Edward Moran, please visit our Heartfelt Sympathies Store. We encourage you to share any memorable photos or stories about Charles "Sonnie". All tributes placed on and purchased through this memorial website will remain on in perpetuity for future generations. You were one of the greatest influences in life for my best friend, husband, love. You will be missed, but you will hear us speak of you fondly often and laugh lovingly as we share our memories. I love you Ish,I will miss you. He was very nice. I love you Grandpa Ishie. I will miss you. Sending our love to the entire family.